(Note that this feature was penned before Hutchinson Whampoa, Three UK's parent company, officially sealed the acquisition of O2 from Telefonica, and as such Lynda Burton did not and could not answer questions relating to the details of the transaction). Three UK has been a success story as far as the consumer market is concerned. Its unique selling points like unlimited 4G data on most monthly contracts, the inclusion of handset tethering and the ability to roam your entire bundle across 16 countries globally for free have made it a particularly enticing option for data hungry smartphone users. But its B2B business has had a far more chequered journey. The company shut down its business channel three years ago and back then its B2B customer base was estimated to be only around 0.5% of the overall business. Lynda Burton, Director of Wholesale at Three UK, is adamant that the future is bright for the company in the B2B market despite the past setbacks. "Three as a business has chosen to focus on the consumer market, whilst the wholesale division has been tasked with serving other segments." It now focuses on small office and home office customers (up to four connections) as well as big data-only customers. 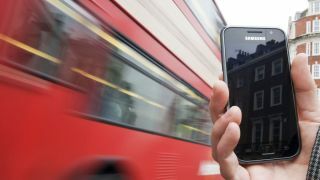 The company prides itself on being the mobile network that carries the most data – according to Enders Analysis it accounts for 45% of the UK's mobile data traffic with O2's acquisition bringing that to 60%. Ironically, Vodafone, the biggest B2B mobile phone operator in the country, accounts for less than 10% of mobile traffic, which is a clear sign that businesses, in general, are more interested with voice and texts rather than bytes. Three's decision to give up, for now on that part of the market, may well be a wise decision as O2's purchase may prove to be a masterstroke to tackle that segment. "We want to be the complement for fixed broadband and backup, be it in CCTV, digital signage or outdoor media," she said. As for the MVNO/MVNE segment, Three has a number of B2C MVNEs including Shebang in the UK and that number is likely to grow especially after the announcement from Dixons Carphone that it has selected Three UK as an MVNO partner. Speaking of that particular announcement, one of the titbits that got many excited was the clear mention of M2M, which has been identified by Three as a major growth market; the company has already been making inroads with five M2M partners already listed. Add in public sector, educational, MVNO (mobile virtual network operators), MVNE (mobile virtual network enablers) and B2B, and you get an idea of the difference in strategy of Three compared to the rest of the market – it's all about data, preferably a large amount of it. MVNOs in particular are appealing as they offer, in Lynda's own words, "incremental margins". Three however wants to settle on fewer long-term partnerships, in other words, they are not in a rush to get partners flying through the doors. Burton also mentioned one partnership with MVNE partner GlobeTouch which gives 250MB of data for two years on HP devices purchased. HP DataPass doesn't cost anything extra for the end user and is ready to be used out of the box. The reason why the DataPass works is because, in her own words, it allows the user to "roam at a cost that is understood". Unbeknown to many, the DataPass service can be used in 11 European countries already. It is available on selected HP tablets but not on its laptops or Chromebooks. But free data for devices has not taken off as many would have expected, with the massive price difference between Wi-Fi-only and 3G-enabled devices being likely to blame. Mi-Fi remains your most likely option if you want to access 3G/4G from your device now but it is still fiddly and not as seamless as having a ready-to-use solution. But change is underway – "2015 will be a tipping point", my interlocutor said before prophetically adding, "You can't always be an obstacle for change". There will be a lot of development in 2016, she added, with soft SIM and a more rapid evolution of existing technologies, a trend that will coincide with the adoption of M2M in businesses and wearables as individuals. What does the future bode for the industry? Expect large volumes of data transferred at high speed to become the norm in some markets, but not necessarily smart meters which are well served by low-power 2G (where Three is absent). The conundrum of the 'connected home' will be solved by fixed broadband, not mobile and, speaking about the BT/EE acquisition, she remarked that, "There's no evidence that consumers are asking for quad play," before adding that it will be used to retain existing customers rather than bring in new ones.